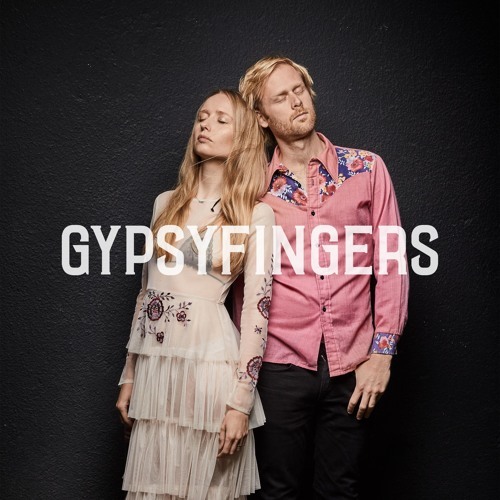 Gypsyfingers are Victoria & Luke Oldfield (son of Tubular Bells' Mike Oldfield) 70's inspired analogue Folk, Rock, and Pop with acoustic and electronic embedding their magical songs in subtle soundscapes. Victoria and Luke play almost all sounds and instruments themselves creating a modern orchestra of acoustic and electric instruments and textures. Multi-instrumentalists Victoria and Luke met in 2011 in London after Victoria returned moved back to her birth town from Paris. She was involved in underground gipsy, dance and rap music scenes there. Luke's background is in rock and folk music and he runs Tilehouse Studios where his production skills were honed from a young age. Victoria and Luke's contrasting musical backgrounds fused and soon blossomed into an intriguing and fresh-sounding collaboration, which they would work on recording during studio down-time. Victoria and Luke share vocal and songwriting duties with Victoria as the lead voice and writer. Victoria's classically-trained intimate vocals go against the grain of recent popular culture's trend for smokey, belting female vocalists (Adele, etc.) instead inviting the listener to listen more closely to the poetic and at times playful lyrics. The production of Luke Oldfield allow Victoria's soft vocals space to breath and be heard, whilst building subtle musical worlds around the songs for listeners to explore.